How times have changed. It’s hard to believe that watching this classic from the vaults of Hammer was once an X certificate film. In fact, this would have been a stable of the old Friday night horrors that were my first introduction to the British studios. Now this gets shown on a Saturday afternoon. It’s that tame now. Which doesn’t mean it isn’t still an enjoyable, if old-fashioned chiller which, once again, had the leading lights of Hammer pitting against each other. A team of archaeologists have discovered the tomb of Ananka, a beautiful Egyptian Princess whose High Priest, Kharis, was madly in love with and swore to protect her forever. One of the team, Stephen Banning, finds a scripture that he reads, inadvertently bringing back to life the Mummy of Kharis. 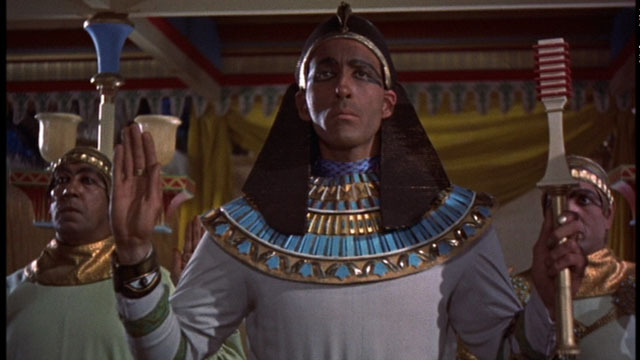 Years later, back in England, a mysterious Egyptian arrives in the village that the archaeologists live and soon they being to die one by one. We have become desensitized by horror films that watching this is like watching a melodrama. Yet it still has plenty to merit it. Firstly, the attention to detail in Jimmy Spangster’s script. A stalwart of the Hammer studios, he produced most of the scripts for their films and so has a real feel for bringing in historical detail as well as building tension. Along with another regular, Terence Fisher, behind the camera, these men knew their trade. The production values were also incredibly impressive with elaborate sets and colourful costumes to fit the period. Unlike the horror film makers of today, these men cared about their product and it shows. They weren’t just flashy, empty films where you cared very little for the protagonists. These were almost like artists works. If the detail wasn’t enough then you had two giants of the studio together again. Peter Cushing was a far better actor than many give him credit for. Playing John Banning, the young, excitable archaeologist who injures his foot during the expedition, Cushing has to use his limp throughout, in a clever manner. He’s not as sprightly as the creature and so when you scream out “You can run faster than him!” actually, he can’t! 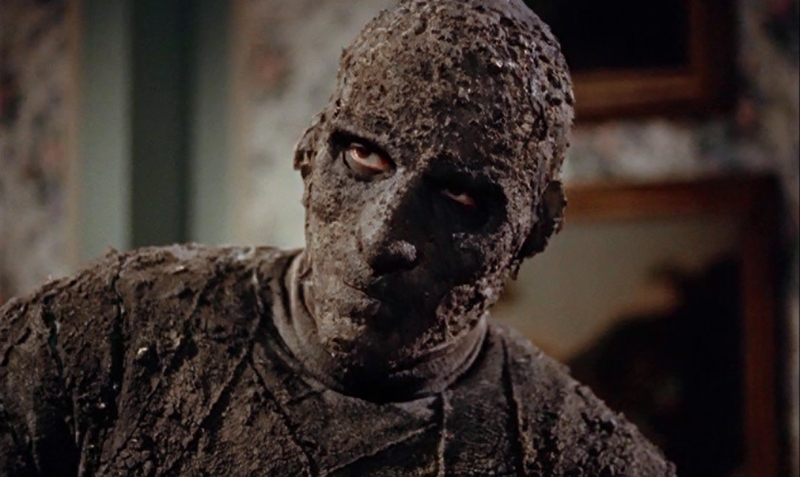 As the Mummy, Christopher Lee didn’t have a happy time on this film. Covered in muddy bandages, the actor injured himself several times, firstly hurting his knee while clambering out of a swarm, then putting his shoulder out slamming into a door and finally hurting his back by carrying leading lady, Yvonne Furneaux. Many may look upon this as a curiosity, while others, like myself, look at it with great affection. It might not be remotely scary or even shocking anymore but you have to show some respect for a film brimming with colour and attention, while still having a few thrills up its sleeves for those who enjoy the greats of the genre.